Comments: Transmitted BBC Radio Devon on 1458 kHz until January 2018, and Absolute Radio on 1197 kHz until mid 2018. 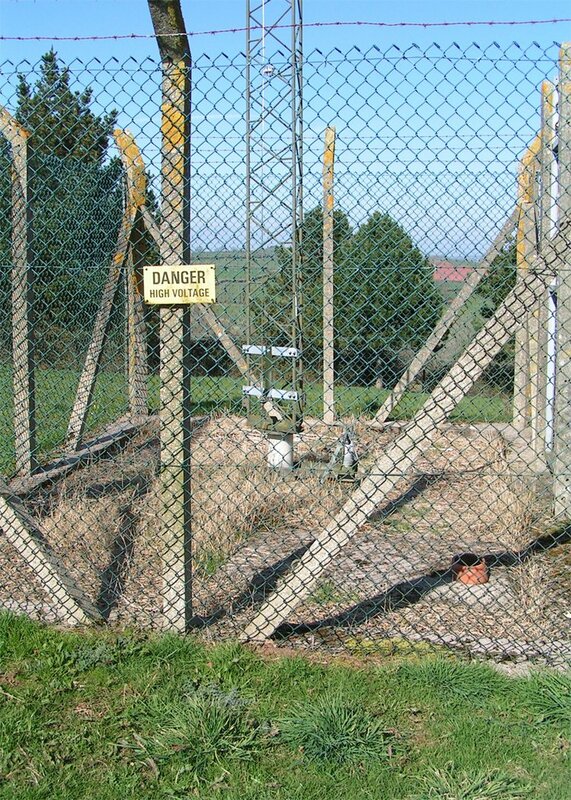 Apart from the second photo - a golden oldie from Mike Smith - the rest were taken by Jim Fraser in March 2011 and give us detailed views of the feeder arrangements on the Occombe (Torbay MF) mast and associated building. 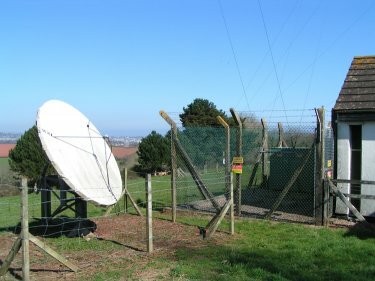 This site previously relayed BBC national radio (including (many years ago) one of those rare Radio 1 auxiliary transmissions on 202 m) and was also subsequently shared by ILR, but Classic Gold - having transferred to Beacon Hill - was forced to surrender its MF allocation under Ofcom ownership rules, and 954 kHz is no longer used in Devon. 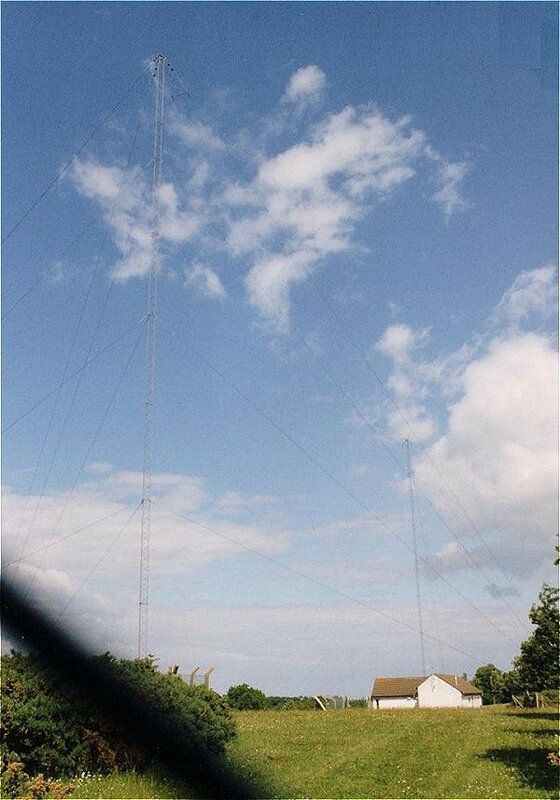 1974 Radio 1 (1484 kHz) and Radio 4 Southwest (854 kHz) in service. 23/11/1978 Radio 4 Southwest now on 1458 kHz, Radio 2 on 909 kHz. 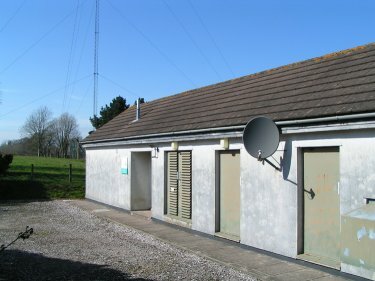 Radio 1 now provided from Start Point. 1980 Radio 3 on 1197 kHz and Radio 2 transferred to Start Point. 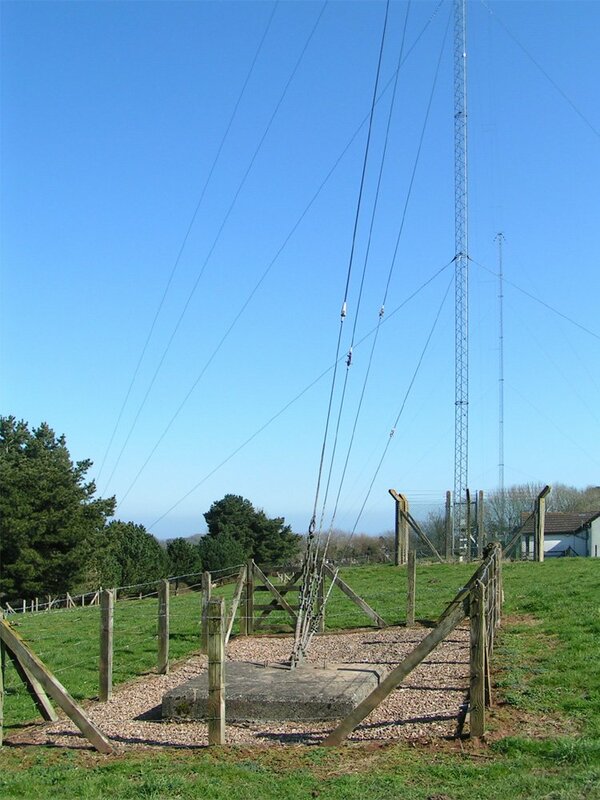 12/12/1980 ILR Torbay (DevonAir Radio) launches on 954 kHz. 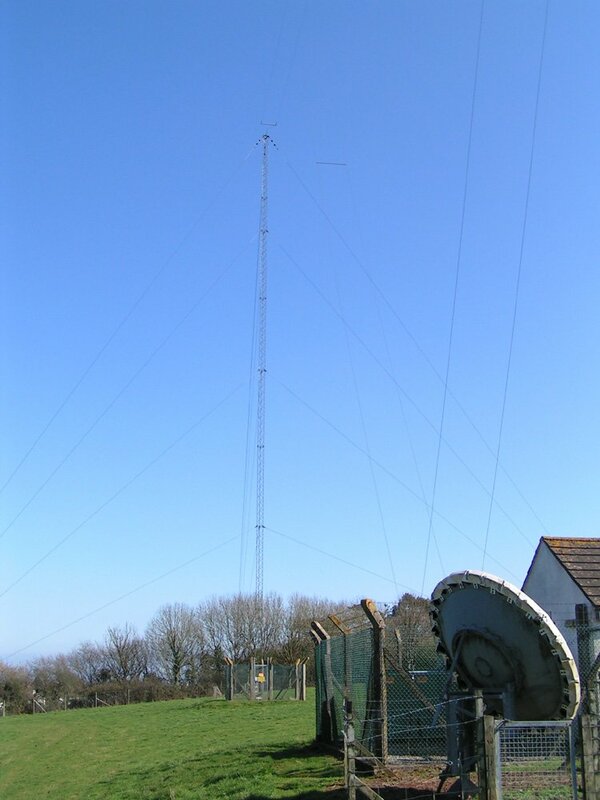 17/1/1983 Radio Devon launches on 1458 kHz, replacing Radio 4 Southwest. 28/2/1992 Radio 3, 1197 kHz closed. 30/4/1993 Virgin Radio launches on 1197 kHz. 14/2/1995 Talk Radio launches on 1107 kHz. 1996 ILR on 954 kHz closed. Transferred to Beacon Hill. Sign on the front of the building. View taken from the western edge of the site, looking east (standing by the hedge trying to fit it all in). Anchor block for the mast stays (western end). Looking up to the top of the mast. 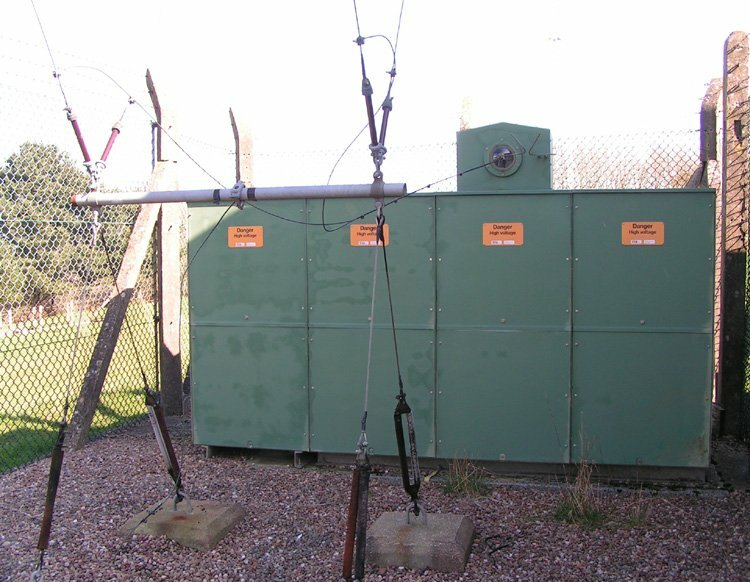 The V shaped feed wires (coming from the back of the building) are just visible - a parallel pair of cables with horizontal spacers run up towards each supporting mast. 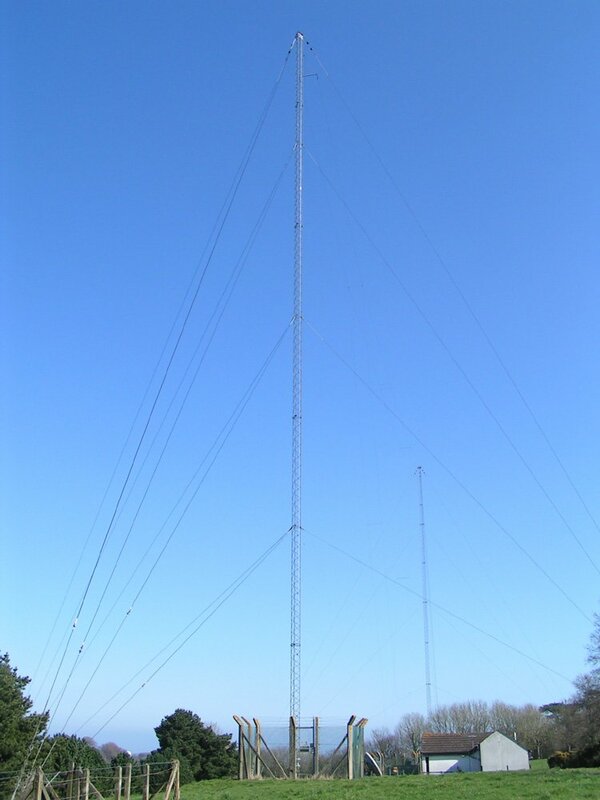 They join on to a similar pair of parallel cables linking the two towers together. The join isn't close to either tower though, it's at the next horizontal spacer along. 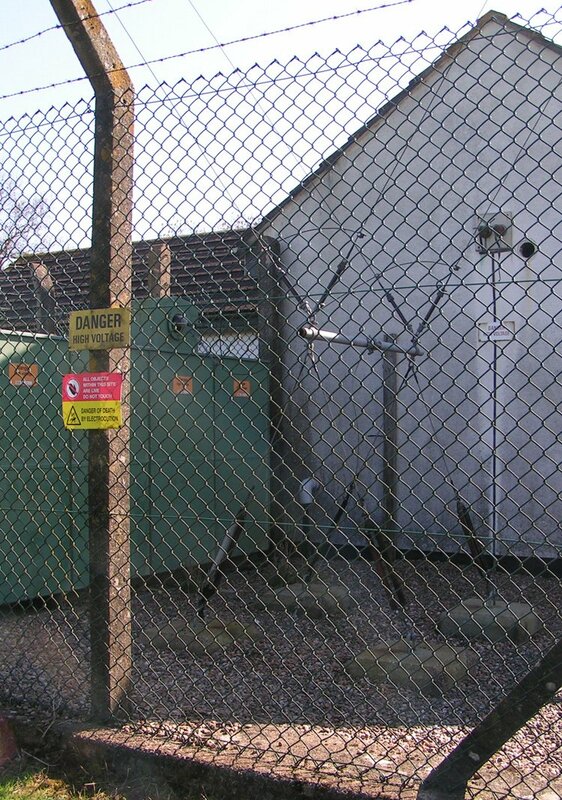 The feed arrangement behind the building is well protected. Looking through the fence, on top of the green cabinets is a big glass dome (with adjacent spark gap). Two black cables join on close to the bottom of the V feeders using clamps. 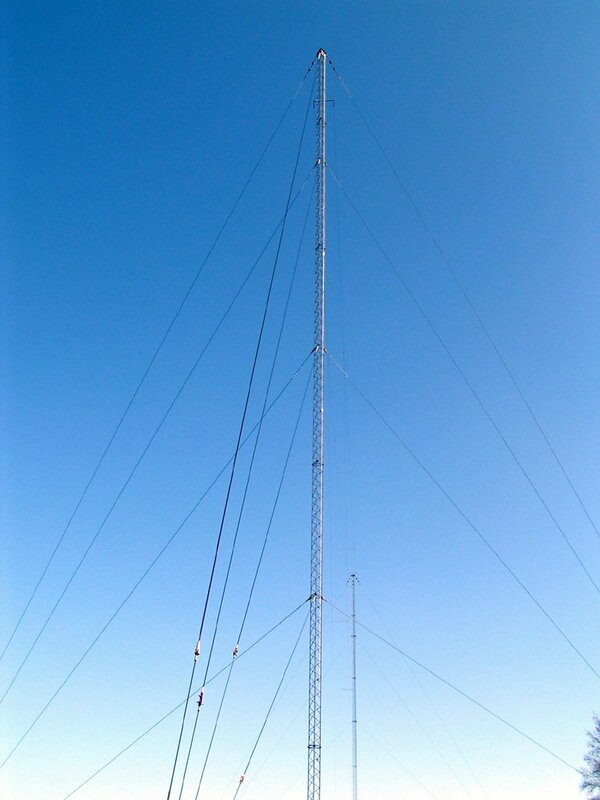 The feeds running up to join on to the wire pair running across the top of the towers. Satellite dish adjacent to the building (looks to be approx. on 10E). 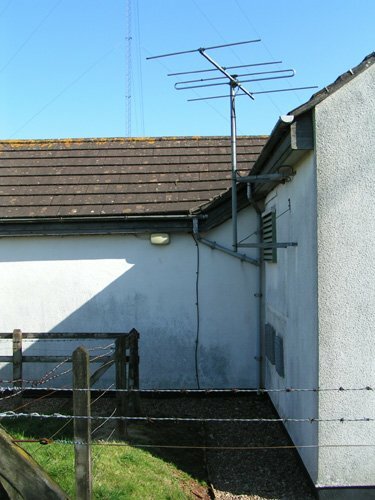 FM aerial on building, pointing at North Hessary Tor. Satellite dish on front of building (appears to be approx. on 28E). Foot of one of the towers - I'm not sure if the white cylinder at the base is an insulator or not. 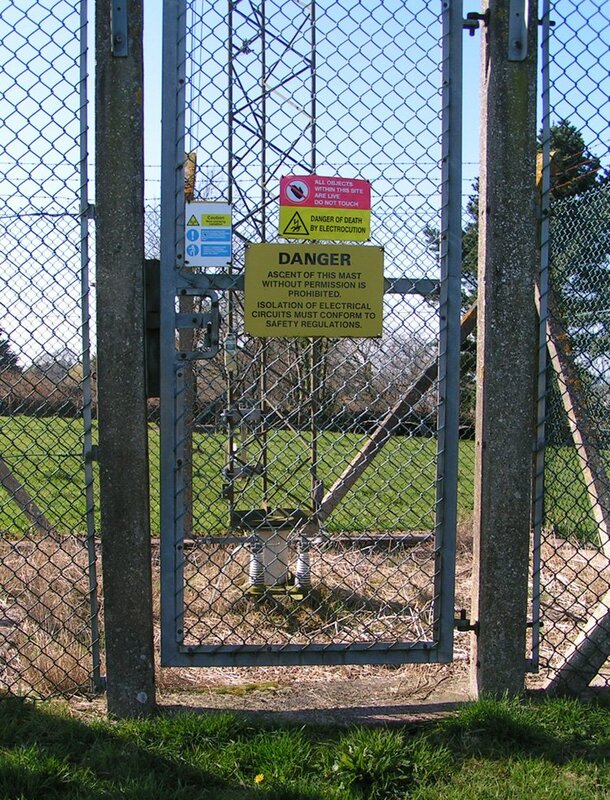 Another view of the tower base - plenty of warning signs on the gate.